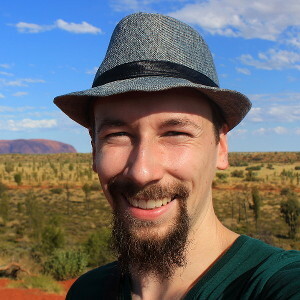 The “Waking up at 5AM to see Taj Mahal at sunrise” selfie. 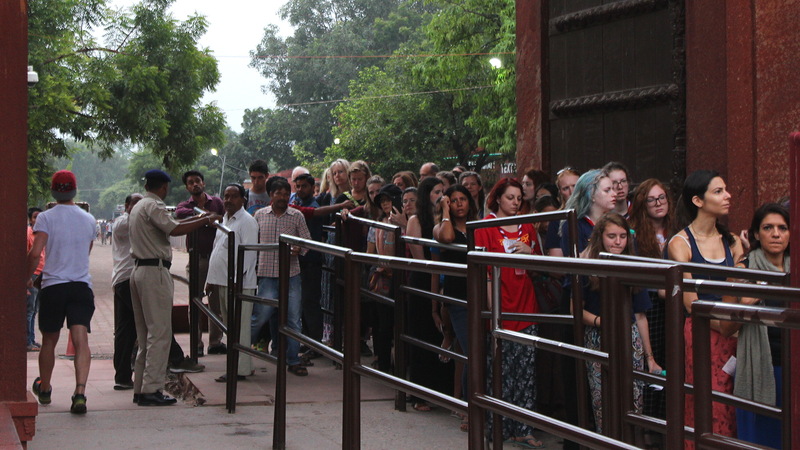 The gates of Taj Mahal open at 6AM, but you should still wake up much earlier because of the queues at the ticket office and the gates. 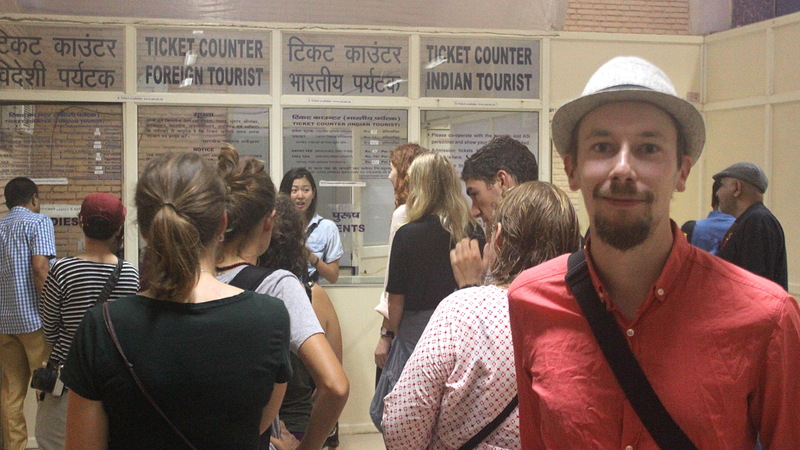 Women and men had different lines for the security check and… well, it turned out that there are a lot more women visiting Taj Mahal at sunrise. There was practically no line for men, while the queue of women continued far behind the corner. 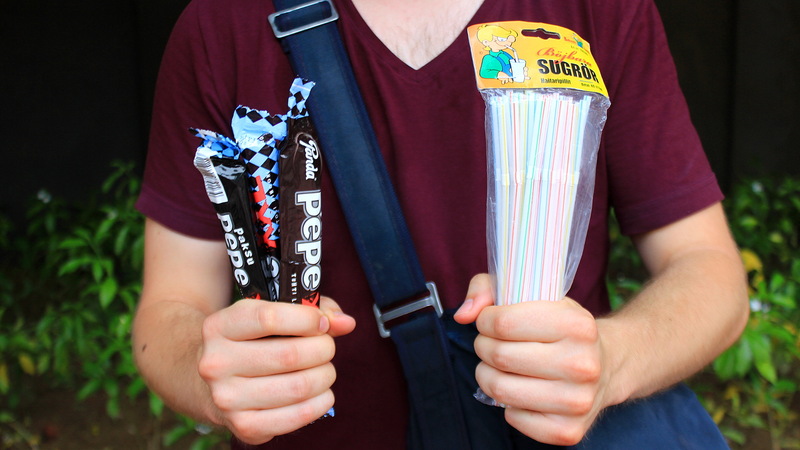 The security check at Taj Mahal was amusingly strict: my friend Tino had to leave Finnish liquorice and a package of straws outside, because the security said she “didn’t know what they were”. Most visitors want to take symmetrical pictures of Taj Mahal from straight ahead of the building, so the middle lane is quite crowded. 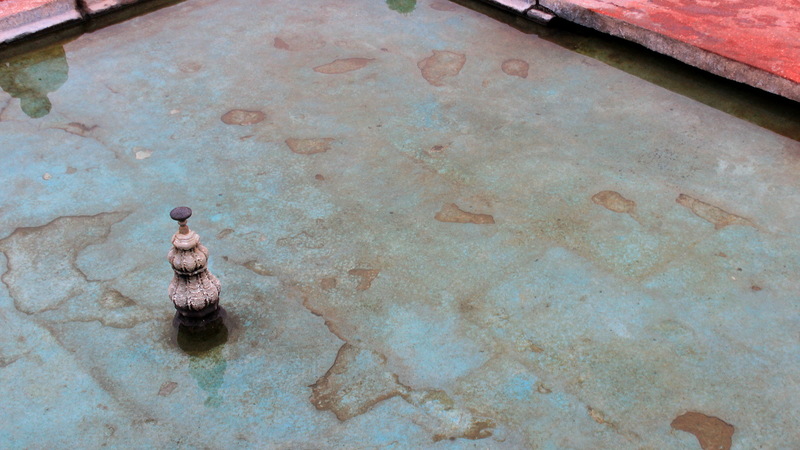 The pools in front of the 17th century mausoleum have seen better days. And here’s Tah Mahal itself at sunrise. Because of the cloudy weather, there wasn’t much to see about it. Instead of bright rays of light, we just saw the sky change its hue from darker to lighter grey. 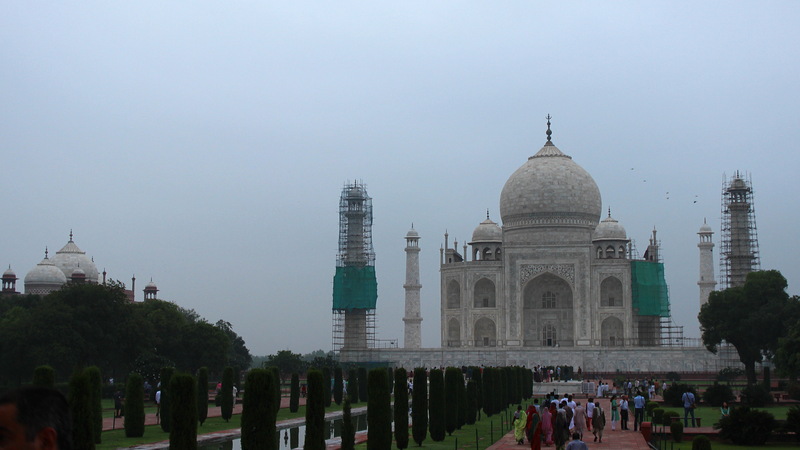 Not all alternative pictures of Taj Mahal are allowed. 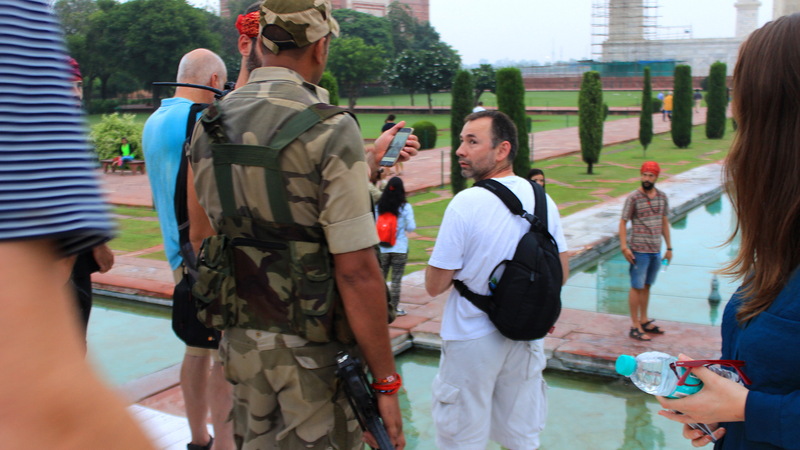 A group of backpackers tried to pose in the lotus position in front of the ponds when they were stopped by an armed soldier. 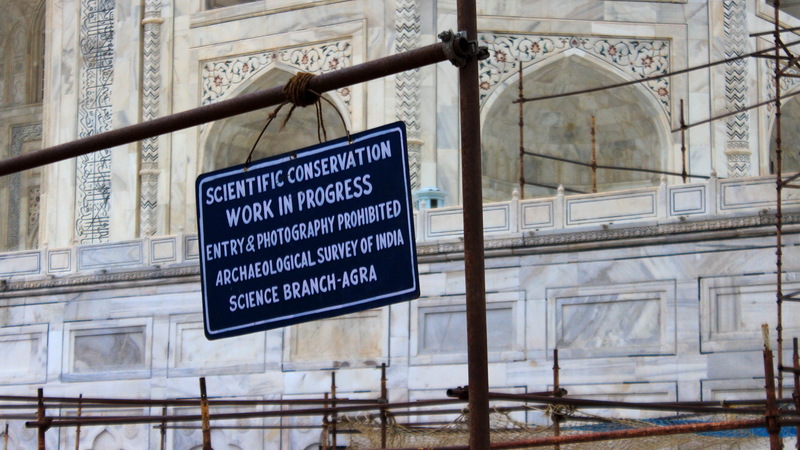 The soldier made the men delete the pictures of Taj Mahal they had taken. 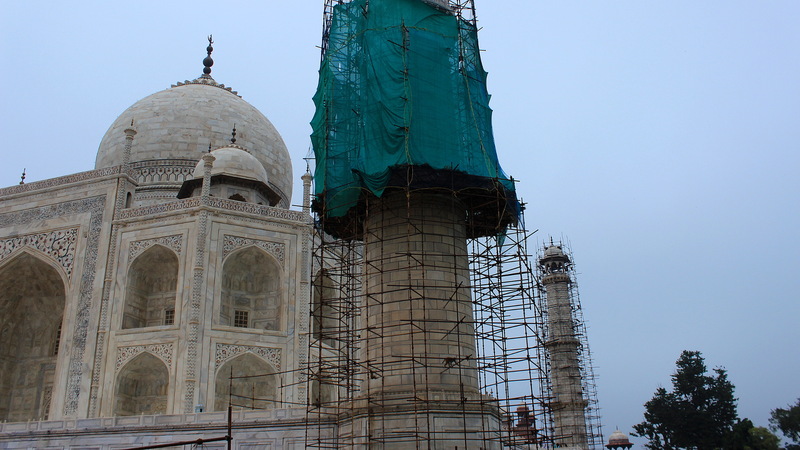 The front minaret towers of Taj Mahal were under maintenance during our visit. It was actually prohibited to take pictures of the minaret towers – a very difficult rule to obey WHEN THE TOWERS ARE IN FRONT OF THE MAIN BUILDING. 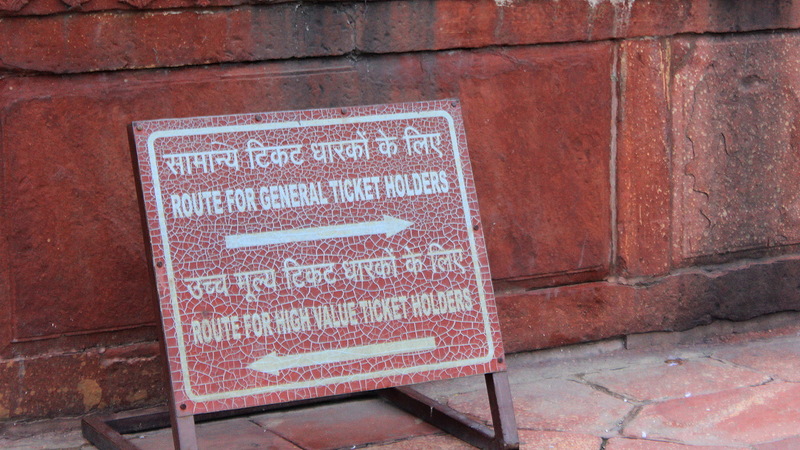 The ticket to Taj Mahal costs 25 times more to foreign tourists (1000 Rupees) than Indian tourists (40 Rupees). Still, the extra price is definitely worth it, because high value ticket holders get a small bottle of water and disposable shoe covers for free! Taj Mahal is over rated. 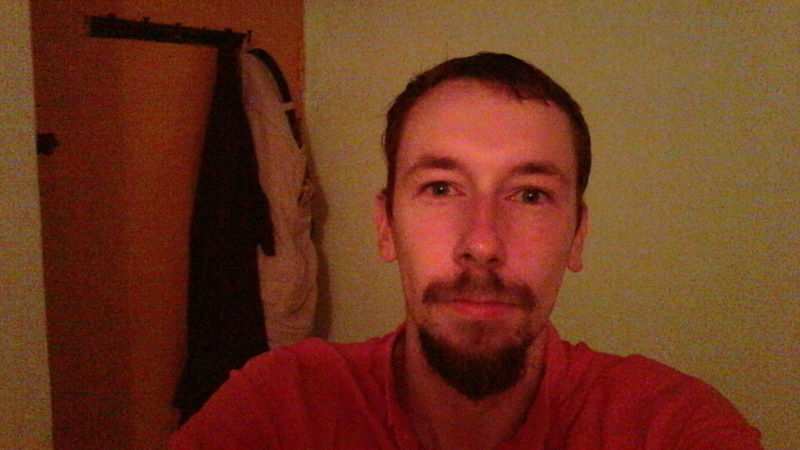 In Mehrangarh Fort (Jodhpur) I spent six hours while Taj Mahal is done in 30 minutes.